The Ulster star played with Woods, Jim Furyk, Steve Stricker and Zach Johnson in one of two star-studded skins games on the eve of The Memorial at Muirfield Village. 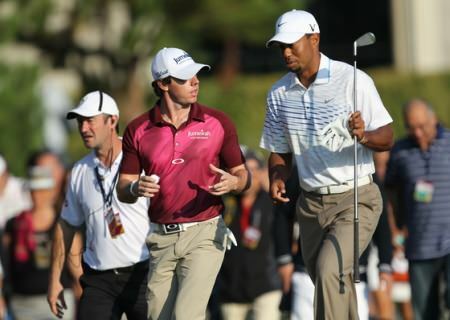 It wasn’t always vintage Woods but the current world No 1 made sure the young pretender got a taste of his talent. He started with four straight threes (birdie-eagle-par-birdie) and eventually won six skins, four of them in a final hole “chip-off” when no-one in his group could get closer than 10-feet on a long, downhill chip from behind the 18th green. Woods hit several wayward tee shots and a couple of loose irons but putted brilliantly on greens that were running extra-fast - 14 on the stimp. One US website said that Woods told McIlroy, “Nice putt kid”, when the Holywood youngster holed a curling 10 footer to match his birdie and save a skin on their fourth hole (the 13th). On the 15th green, Woods sidled up to McIlroy, grabbed his putter and took a couple pretend whacks at an imaginary ball. Woods, returning to action after three weeks off with a neck injury, said he felt fine and was ready to return to competition. 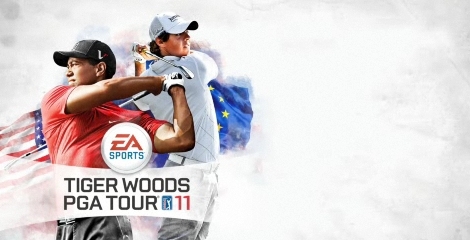 If Woods was good, in parts, Phil Mickelson was sensational as he won all nine skins in his match with tournament host Jack Nicklaus, Ernie Els, Sean O’Hair and Kenny Perry. 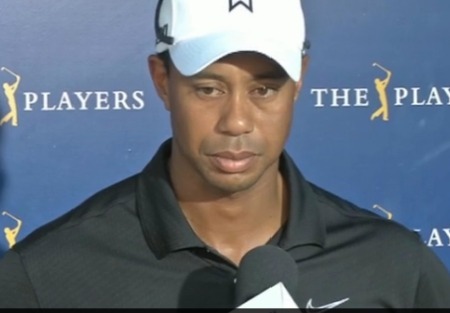 A disappointed Rory McIlroy speaks to reporters after his round.Rory McIlroy suffered another back nine meltdown to miss three cuts in a row for the first time for nearly four years when he crashed to a second round 79 as Tiger Woods surged into contention in the Memorial Tournament at Muirfield Village.